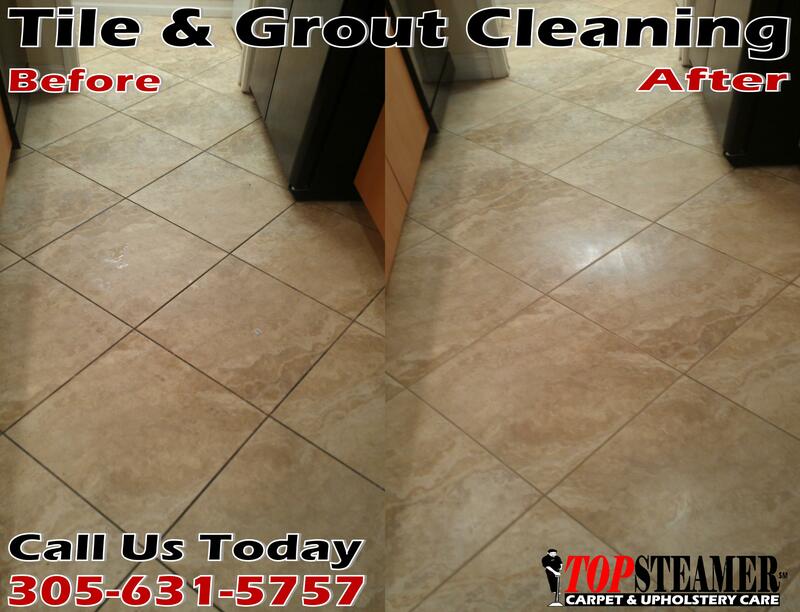 Check out this picture of a tile and grout cleaning job we did for a customer in Miami Beach amazing before and after difference. If you need your ceramic tile and grout clean in Miami Beach call Top Steamer your local tile and grout cleaning company 305-631-5757. For more information about our tile cleaning services visit our website today Ceramic Tile & Grout Cleaning.